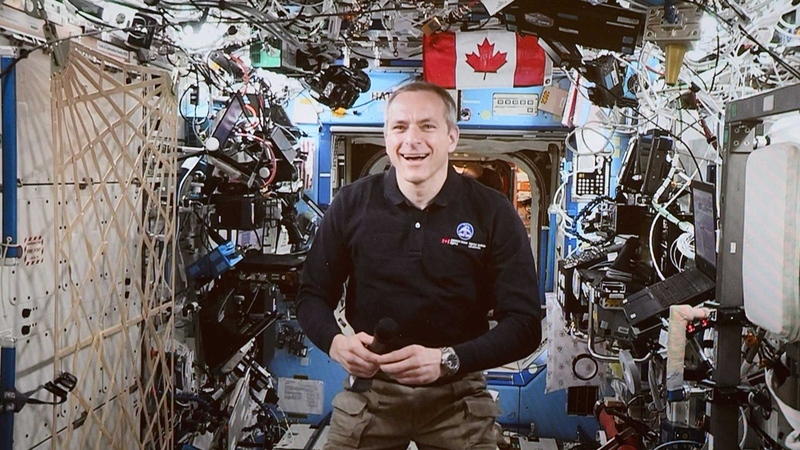 "But the sun was about to rise," he told reporters Wednesday through a live video link from the space station, two days after he became the fourth Canadian to complete a spacewalk. "And then I saw Anne's big smile, and she winked at me," he said. "And I understood I had arrived. We were in space." 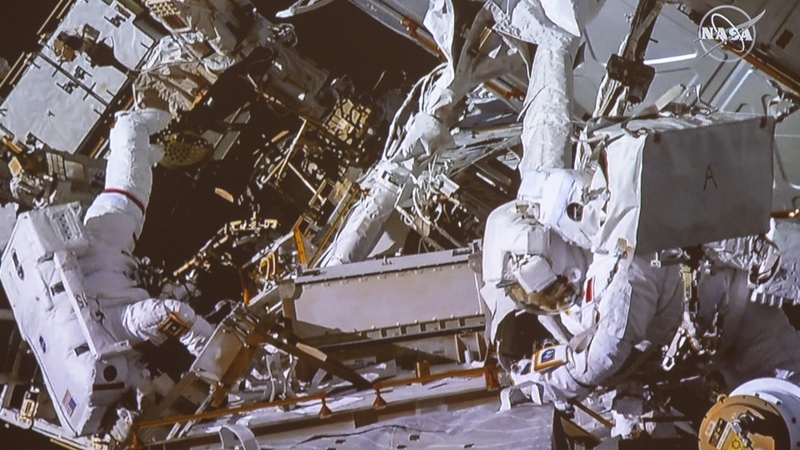 Astronauts are busy during a spacewalk, he said, adding each moment outside the ship is choreographed in advance. "There are no blocks of time for philosophizing," he said. "But we take the time to look around, and we try and absorb it." He called the entire experience "pure joy." Astronauts train for years to walk in space. And Saint-Jacques' first venture outside the station lasted about six-and-a-half hours. He and McClain, whom he called a veteran because she had one prior spacewalk, conducted a series of tasks outside the space station. Those included upgrading the spacecraft's wireless communication system and connecting jumper cables to give the Canadarm2 an alternative power source. Canadarm2 is a type of robotic hand attached to the space station that was created by Canadian engineers. One of Saint-Jacques' next tasks will be to operate the Canadarm2 on April 25 to catch a Dragon supply spacecraft that will be launched by the company SpaceX with a Falcon 9 rocket. He said it's the dream of every Canadian astronaut to operate the Canadarm2. Using that machine to capture cargo vehicles is an "amazing feat" he said, because the machinery wasn't created to do that. "It was a challenge from NASA," he said. "Our engineers rolled up their sleeves and figured out a way." Saint-Jacques, McClain and Russian astronaut Oleg Kononenko are scheduled to return to Earth in June. And while he marvels at the ingenuity that has allowed him to travel into space, Saint-Jacques said humans haven't really explored anything. "It's kind of like we are practising going camping in our backyard," he said. "We haven't really dared to go into the forest or the mountains." Travel to Mars is decades away, he explained, but he said he has no doubt humans will get there. "The first astronauts who will travel to this new destination are born," he said. "They are kids now, but they are born. And the dream is in their head."